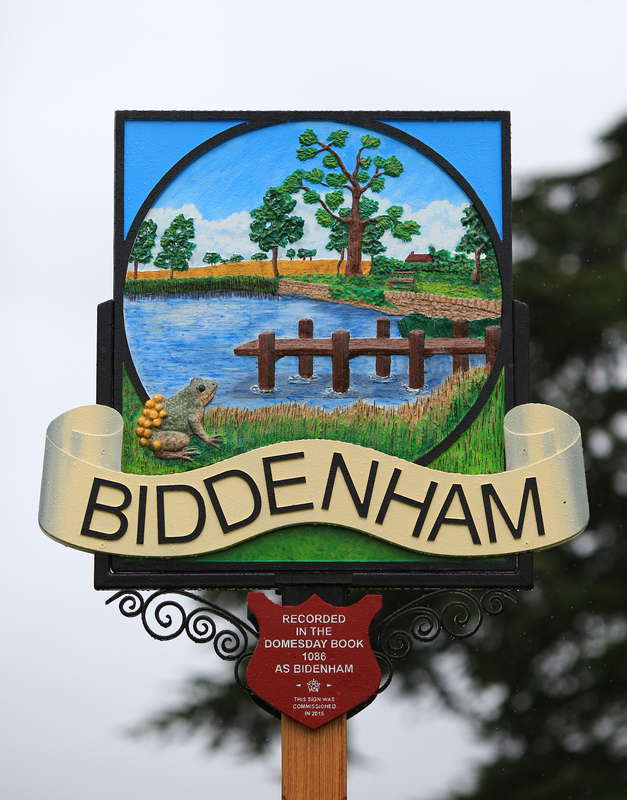 Some 134 hectares of land north of Bromham Road, comprising land in both the parish of Biddenham and the borough of Bedford, will be developed in the coming years. The land extends northwards from Bromham Road to the Great Ouse and westwards from the northern end of Branston Way to the A6 Clapham Road. The last section of the Bedford Western Bypass completed in Spring 2016 has facilitated development of the land, and includes two roundabouts giving access to it. After a prolonged period since an initial planning application was submitted in 2001, outline planning permission was granted for up to 1,300 dwellings; employment; retail; country-park; open space; landscaping; leisure and community facilities; a park and ride facility; road linking the A6 and A428; supporting infrastructure including roads; paths; cycleways; public transport and car parking facilities on this site. The application (01/02199/EIA) was considered by the Borough Council’s Planning Committee in March 2013. The Committee agreed the officers’ recommendation to approve the application subject to conditions and to the signing of a Section 106 legal agreement. That agreement was signed in March 2014 and the decision notice was issued. Since then construction of the road linking the A6 and the A428 – the last section of the Bedford Western Bypass – began in October 2014 and was completed and opened in Spring 2016. Progress reports on construction were posted regularly on this blog. Outline planning permission was granted for a primary school (14/02980/MAR) and the public playing pitches (14/02814/MAR). Both are now completed, the school opening in September 2017 and the playing fields shortly after. Two developments of housing were indicated in the overall planning for the development – 495 houses in the western (Biddenham) section of the site and 245 houses in the eastern (Bedford) section. The centre (former golf course) section has outline permission for housing but it is not considered to be likely to be the subject of a further planning application for housing development in the foreseeable future. But as always is the case, things can change as the planning process continues, and earlier in 2015 we set out the then position in our post of 26 January 2015. Since then, towards the end of 2015 work started at the eastern (Bedford) end of the site to create the new access road from Bromham Road into the development and to put in place the services for the development. 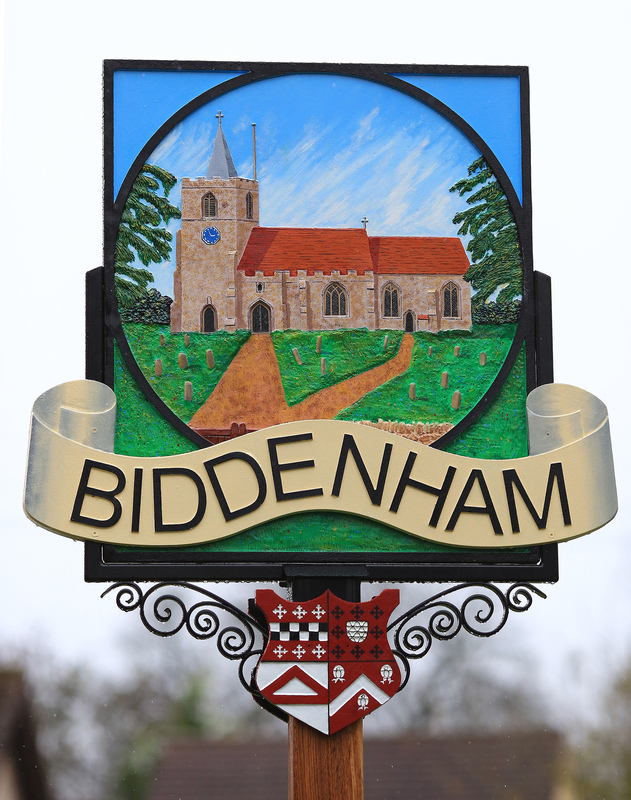 By September 2016 houses were proliferating on the site, and the access road was in place with three-way traffic lights controlling traffic on Bromham Road and accessing and exiting Biddenham Turn and the housing development. In June 2016 work started at the western (Biddenham) end of the site, putting in place in the infrastructure to support the housing development. Work went quickly, and by September work had also started on developing the playing fields on the Bromham side of the new section of bypass. You can find posts with pictures of the work at the western end in the News page. Building work continued through 2017 and into 2018 at both the eastern and western ends of the site, and many houses are now occupied in both. The development overall has been named King’s Field to commemorate the visit there (then fields) by King George V on 22 October 1914 to review the Scottish troops then stationed in Bedford in the early weeks of the Great War. So now you know why the main road into the eastern end is called King George Avenue and why the names of other roads there have Scottish connections, regimental and other. Any further news on this or updates. A school and housing are imminent at the Bedford end of the site with an access road to be constructed off Bromham Road. Plans were on display recently at the Bedford Golf Club. Hi – any further news on that piece of land? Most recently there has been discussions at the Parish Council (see its minutes and reports in the village newsletter) about the adequacy or otherwise of facilities proposed for sport in the west of the area, and the proposal for a roundabout off Bromham Road to give access to the east of the area. The land on Bromham Road opposite Biddenturn Turn has now been cleared of all large vegetation is that a sign something is about to start, and what exactly is going to be there. Hi, Mark and thank you for your question. The land concerned is in Bedford Borough rather than Biddenham Parish and we can’t give an immediate answer. But we are enquiring and will give an update when we have an answer.